When I was an intern at Metonymy Media, I wrote a lot of blogs. Some were about cars or travel, and some were about other things that I had more or less interest in. 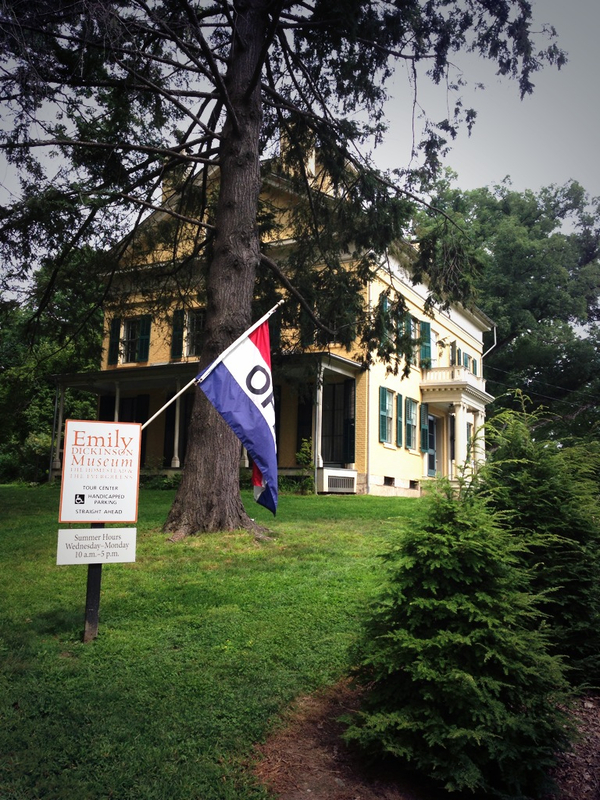 But one of my favorite blogs was one I wrote about a trip that I took to the Emily Dickinson House in Amherst, Mass. I started this blog about five times, because I didn’t know exactly what I was trying to say—not that I didn’t have anything to say. The Emily Dickinson house is located in Amherst, Mass., where the poet spent almost all of her life. The problem with writing what you’re passionate about is there is too much to say. I have been reading Emily Dickinson since middle school. I have been extremely interested in her work and her life. And after a 90-minute tour of her house and her brother Austin’s house—called The Evergreens, which sits right next door—I had even more to say. I think it turned out all right, but you can read it here and decide for yourself.